Are you looking for an accountant in Germany? We use our expertise and experience to advise clients in all aspects of Accountancy and Bookkeeping. 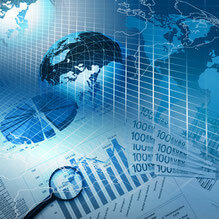 We can prepare your accounting records and deliver the requested reporting. We will be happy to assist you in English via phone, email or Skype. How can we exchange data, documents and reports? We can offer the use of our online web-tool which helps us to exchange all sorts of documents with clients in a safe, structured and comfortable way. You could also send us your documents by post or email. If you already run your on online solution we can also use this way to exchange the data and documents.